Even the best, most lively play tool out there can find it hard to match a trampoline’s resume. For those who don’t know, a trampoline offers a lion’s share of physical and psychological benefits. It engages a lot of muscles that you are not used to working on a regular basis. And, guess what? Almost everyone out there likes jumping on a trampoline. Frankly speaking, it’s hard to find an equally capable play tool. 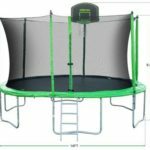 If you need some reassessment about the benefits of jumping on a trampoline, here’s a quick post for you. As hinted above, jumping on a trampoline can offer you a fountain of health benefits. To begin with, jumping on a trampoline can provide you with a full-blown cardio workout. Consistent jumping can also help you lose weight. Believe it or not, you can burn as much as 1000 calories in an hour. Bouncing on a trampoline works all your muscles as well. Better yet, you won’t have to be a night owl or an early bird to achieve these health benefits. 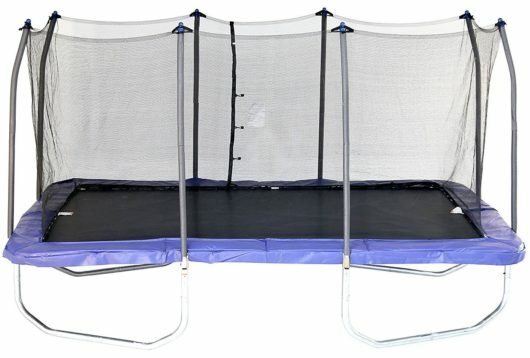 As you might already know, you can literally jump on a trampoline on any given hour of the day. These health benefits happen to be some of the positive side-effects of jumping on a trampoline. Some other physical benefits include improved bone density, tendons, ligaments, and overall body flexibility. It can also improve one’s balance and posture. 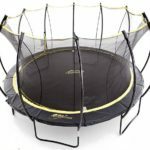 Most of the physiological benefits listed over here are directed towards kids, but best trampoline for adults can also gain a lot of benefits. Believe it or not, trampoline jumping can boost academic performance among kids. 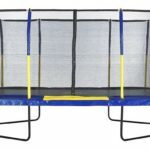 Certain studies have cited that trampoline bouncing can improve one’s self-esteem as well. Also, it can inculcate the value of persistent efforts. Generally speaking, a kid keeps bouncing until he/she masters the art of perfect jumping and landing despite numerous failed attempts. Moreover, it develops a child’s motor skills. When the body is in the air, it’s forced to use both sides of the brain to maintain proper balance and coordination during the fall. As kids master new skills while jumping on a trampoline, their confidence levels also beef up, which can translate into better self-image. As a result, a kid’s chances of academic success can also shoot up. Remember, kids will be reaping these health benefits while having all the fun in the world. A trampoline reinvents fun with a free bundle of health benefits. No doubt it’s good, but my back is hurted badly because of wrong landing, so friends take care of this. Otherwise it’s a good investment for better health and fitness as well as fun. Jumping on a trampoline can offer a fountain of health benefits for all and kids especially. While jumping not only helps to increase bone density but also consistent jumping can also help increase weight and lose weight as well. Your content is awesome. Jumping on trampoline is really good for health. It will develop mental and physical skills in kids. Thanks for sharing such a valuable content. 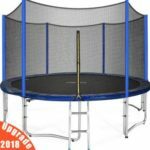 I am also manufacturer of round trampolines. My product is durable and comfortable. For more information visit our online store.